Best Practices in SaaS is an important topic right now due to cost savings and other business advantages. We have focused on best practices for the usage. Right now, spyware actions of the intelligence agencies forced the Enterprise users for self hosted options. Also according to Gartner , companies that introduce these features will increase productivity and will seize new market opportunities. At the same time these technological choices will weigh more on the budget of the CMO than on those of the IOC. From various points, at least for the Startups, SaaS is still an advantage. Best Practices in SaaS can save cost, increase productivity while the points on data Privacy and Security can be maintained. Previously, we wrote that; research from IBM shows that the companies which applies the full cooperation between IT and business managers for the selection of Cloud SaaS and implementation and acquisition of SaaS applications, are ultimately the ones who get then the more business advantages of SaaS Applications. In that way; SaaS is a key element for the development of enterprise cloud computing. One important aspect of Best Practices in SaaS is definitely the proper selection, which we elaborated in the article Checklist for SaaS Provider Selection. In the series of articles on Checklist Secure Cloud Computing; we have elaborately discussed many important points. One need to enforce Cloud Computing Security Policies irrespective of the niche and size of the business. Best Practices in SaaS : Which Are Relatively Safer SaaS Services? CRM SaaS, usually do not involve the core business strategies of a company or business. Any computer or telecommunications device that belongs to or passing data through on the farm must be protected. From that point of view, no SaaS exists which is completely safe. Packaged software comes in many different flavors under the hood of SaaS : customer relationship management, supply chain management, financial management and human resources, to name the most common. 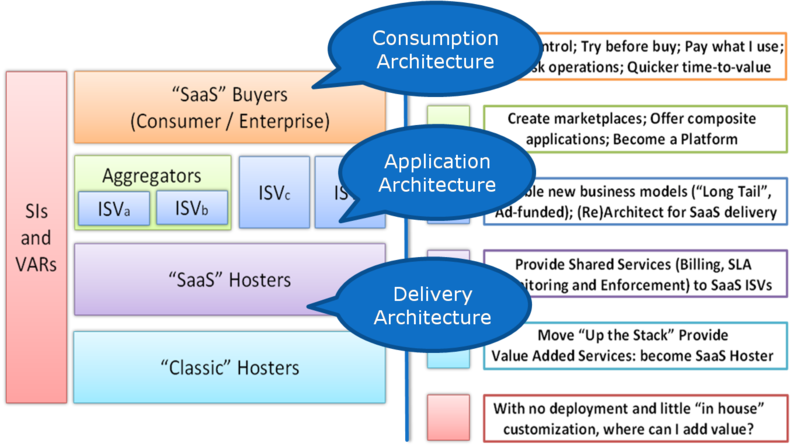 Gartner defines software as a service (SaaS) as software that is owned, delivered and managed remotely by one or more providers. Even one leaked email is capable to destroy the business – customer relationship. Except providing these informations, we are not capable to list a “safer list of SaaS Services”. Data which is intended for the Public can be handled on a SaaS model to be more precise. This Article Has Been Shared 9715 Times! Cite this article as: Abhishek Ghosh, "Best Practices in SaaS," in The Customize Windows, March 3, 2014, April 26, 2019, https://thecustomizewindows.com/2014/03/best-practices-saas/.